A growing body of evidence shows that economic growth is not in conflict with efforts to reduce emissions of greenhouse gases. Experience at the state and national levels demonstrates that well-designed policies can reduce greenhouse gas emissions while providing overall net public benefits, for example, through improved public health, as well as direct financial benefits to businesses and consumers. Policies are often necessary to unlock these opportunities, however, because market barriers hamper investment in what are otherwise beneficial activities. Our analysis illustrates that many more opportunities could be realized with the right policy interventions, including the strengthening of existing policies and programs. In addition, we find that continued technological advancements could allow for even deeper reductions in the years ahead, as long as policies are put in place to help bring them to maturity. These five measures can drive significant greenhouse gas emissions reductions. If done right, they can also lead to net economic benefits, even before the benefits of avoiding climate change are considered. The sectors considered here accounted for 55 percent of U.S. greenhouse gas emissions in 2012 and provide significant opportunity for emissions reductions. For each measure, we examined recent developments and trends, identified current and emerging opportunities to reduce greenhouse gas emissions, highlighted some of the barriers to scaling these opportunities, and laid out strategies for driving a shift in investment. This working paper surveys peer-reviewed reports from academics, government laboratories, regulatory agencies, think tanks, industry associations, trade publications, and nongovernmental organizations, and complements that work with new analyses where warranted to help fill in the gaps. This study is one of several in-country studies commissioned to support the research of the Global Commission on Energy and Climate, an international initiative to identify the economic benefits of acting on climate change. Its flagship project is the New Climate Economy, which identifies the opportunities for enhanced economic performance and climate action in urban, land use, and energy systems across a range of country circumstances. Climate change itself constitutes a significant risk to the nation’s economy. We are beginning to see some of these impacts today. Globally, 12 of the 13 warmest years on record occurred within the last 15 years. 1 Some extreme weather and climate events, such as heat waves and wildfires in the West and heavy downpours in the Midwest and Northeast, are becoming more frequent and intense. 2 These changes will continue unless significant action is taken to reduce greenhouse gas emissions. For example, the conditions that led to the 2011 Texas heat wave, which cost $5 billion in livestock and crop losses, are 20 times more likely to occur today than in the 1960s. 3 Over the longer term, unless action is taken to reduce greenhouse gas emissions, climate-related damages are expected to mount considerably, resulting in up to a 20 percent reduction in per capita consumption globally. 4. Delaying action will result in real costs from greater warming and increase the number of stranded high-carbon investments. A July 2014 report by President Obama’s Council of Economic Advisers concluded that each decade of delay will increase the costs of mitigation by 40 percent on average, with higher costs for more ambitious climate goals. The council further found that with each year of delay “it becomes increasingly difficult, or even infeasible, to hit a climate target that is likely to yield only moderate temperature increases.” 5. Energy efficiency programs provide multiple benefits. State energy efficiency programs regularly save consumers $2 for every $1 invested, and in some cases up to $5. But the benefits extend beyond direct financial savings to consumers. For example, according to the Wisconsin Public Service Commission, the state’s energy efficiency program is expected to inject over $900 million into the state’s economy and net over 6,000 new jobs over the next 10 years. After taking into account the benefits from reduced electricity and natural gas bills as well as avoided air pollution, total benefits are estimated to be three times greater than program costs. 7 Similar results are seen across the 24 states that have energy efficiency savings targets (see Chapter 2 of the full Working Paper). Reducing waste from natural gas systems can improve air quality and save money for industry. EPA’s 2012 standards for natural gas systems aimed at reducing emissions of hazardous air pollutants, sulfur dioxide (SO2), and volatile organic compounds are also expected to significantly reduce methane emissions while saving the gas industry $10 million per year in 2015. This is because the value of the avoided emissions of natural gas is greater than the cost of controls, according to EPA analysis (annual savings are estimated at $330 million versus $320 million in compliance costs). When including the value of reduced air pollution, the net benefits increase considerably. EPA estimates that the standards will reduce emissions of volatile organic compounds by 172,000 metric tons in 2015 alone. 10 Some studies have suggested that the public health impacts from these emissions could be as high as $2,640 per metric ton nationwide, and even higher in some localities. As shown in the sections that follow, these five examples are hardly unusual, and, in fact, are representative of a much broader trend of smart policies and actions that reduce greenhouse gas emissions while also delivering benefits to the broader economy. Natural gas and renewable generation is cheaper than coal in many markets. New natural gas-fired power plants now cost 19-44 percent less than new coal-fired power plants. 12 Meanwhile, wind and solar are cost competitive in a growing number of markets. Recent price declines for solar photovoltaics are particularly pronounced, with module costs falling 80 percent since 2008. 13 Increased renewable energy generation has the potential to save American ratepayers tens of billions of dollars a year over the current mix of electric power options, according to studies by Synapse Energy Economics and the National Renewable Energy Laboratory. 14 Continued technological progress could increase the number of markets in which renewable generation can compete with existing fossil-based electric generation. Vehicles are getting more efficient, and new technologies could transform the light-duty vehicle sector. Since the implementation of new CO2 emissions and fuel economy standards for cars and light-duty trucks, the number of vehicles with a fuel economy of 40 miles per gallon or more has increased sevenfold. A growing number of vehicles use energy-saving technologies such as variable valve timing, gasoline direct injection, turbochargers, hybrid engines, and six- and seven-speed transmissions. Meanwhile, next-generation vehicles are moving ahead. Battery prices for electric vehicles have fallen by 40 percent since 2010. This trend is likely to continue; Tesla Motor Company plans to build facilities by 2017 to produce batteries that are 30 percent cheaper than today’s batteries. Some industry analysts predict that long-range electric vehicles will become cost competitive with internal-combustion engine vehicles by the early 2020s, even without federal tax incentives. Meanwhile, several large automakers continue to pursue fuel cells for light-duty vehicles, with commercialization expected in 2015–17. Cost-saving measures can reduce waste from natural gas systems. Methane emissions from natural gas systems can be reduced using technologies available today, such as dry-seal centrifugal compressors, lowbleed pneumatic devices, and infrared-camera-assisted leak detection and repair. By reducing the amount of product lost through leaks and venting, these measures can save the industry money. Emissions can be reduced by 25 percent or more through measures that pay for themselves in three years or less, and even deeper reductions are possible at just a few cents per thousand cubic feet of gas. However, opportunity costs and principal-agent problems present barriers to achieving the full potential of emissions reductions. Split incentives can impede investments in cost-saving measures in the natural gas sector. This is because thousands of companies are active in the U.S. natural gas industry, from contractors that drill wells to pipeline operators to the local utilities that operate the million-plus miles of small distribution pipelines. With so many independent actors, the incentives for investment in emissions control technologies are not always well aligned because the companies that are able to reduce methane emissions are not always the same companies that reap the benefits of those investments. Ownership transfer issues can impede investment in energy efficiency, for example, when an investor does not expect to capture the full lifetime benefits of an investment. This is a significant barrier in residential buildings where energy efficiency measures have an average payback period of seven years, yet 40 percent of homeowners will have moved in that time. In a number of sectors, including electricity generation, the persistence of pollution externalities gives an unfair advantage to polluting activities. Externalities occur when a product or activity affects people in ways that are not fully captured in its price, such as the full health effects of air pollution not being factored into the cost of electricity generation. Thus society, rather than the company, pays the cost. Well-designed policies can overcome these market barriers and direct investment into beneficial technologies and practices. Likewise, they can influence the rate at which emerging technologies mature by driving research, development, and deployment, thus ensuring advancement through learning-by-doing, and helping overcome network effects, among other factors. In this working paper, we identify a number of policies that can help promote both existing and emerging technologies. By so doing, new policies can enhance the transition to a low-carbon economy while delivering net economic benefits and, in many cases, direct savings for consumers and businesses. This working paper identifies a number of opportunities to reduce greenhouse gas emissions while fostering economic growth. However, we are not suggesting that the United States should limit its climate policies to just these win-win opportunities. Climate change itself imposes economic costs, and reducing each ton of greenhouse gas emissions has a value that is not currently internalized in the U.S. economy. Indeed, analysis by the Interagency Working Group on the Social Cost of Carbon for the United States found that the damage of each incremental ton of CO2 emitted in 2020 is between $13 and $144 (in 2013 dollars). 21 Fully incorporating the value of the benefits of reduced greenhouse gas emissions into economic decisions and policymaking will ultimately lead to better outcomes for both the U.S. economy and environment. Nevertheless, as we show here, numerous actions can be taken today that will produce net positive economic benefits even before accounting for the avoided impacts of climate change. To make good long-term decisions that minimize stranded assets and maximize return on investment, the industry needs long-term regulatory certainty. EPA has taken a step in this direction by proposing carbon pollution standards under section 111(d) of the Clean Air Act. Regulatory certainty could also be provided through legislative measures such as a clean energy standard, a greenhouse gas tax, or a greenhouse gas cap-and-trade program. Financial regulators and lending institutions should work together to develop commercial investment vehicles that align the risk profile of low-carbon assets with the needs of investors to reduce the costs of finance. EPA should finalize greenhouse gas performance standards for new and existing power plants. Together, these standards will: (1) help with the nation’s efforts to reduce greenhouse gas emissions; (2) deliver public health benefits through improved air quality; (3) reduce the risk of technological lock-in and stranded assets; and (4) encourage investment in natural gas generation and renewables. The United States should increase federal funding for research, development, and commercialization of low-carbon and energy-saving technologies. This would help foster opportunities for American businesses and manufacturing by helping the country remain a world leader of innovation. Pursuing policies to better align utility incentive structures, such as: providing performance incentives for energy efficiency, requiring utilities to consider efficiency as part of their integrated resource planning, and decoupling, among other policies. New federal policies should be implemented to promote the proliferation of ambitious state efficiency policies , thus expanding the number of consumers that benefit from increased energy efficiency. This could include new legislation , such as a nationwide electric energy-efficiency resource standard, a clean-energy standard, and a greenhouse gas cap-and trade program or carbon tax, including the option to recycle revenue into energy-efficiency measures. EPA’s proposed carbon pollution standards for existing power plants could also be an important addition to the toolkit, since they allow states to make progress toward their carbon dioxide emissions reduction targets through efficiency programs. Federal, state, and local governments should ensure that consumers benefit from the latest cost-saving building technologies by encouraging adoption and enforcement of the most up-to-date building codes . Federal, state, and local governments should help unlock cost-saving opportunities available through retrofits to existing buildings by (1) expanding labeling and energy assessment tools; (2) implementing building energy auditing, disclosure, and benchmarking policies; (3) recognizing the benefits of energy efficiency in mortgages; and (4) incentivizing wholebuilding retrofits. Federal, state, and local governments should take steps to improve access to low-cost financing options to help address barriers that might otherwise be created by high up-front costs. Specifically, they should: (1) stimulate private funding; (2) improve access to property assessed clean energy (PACE) financing; and (3) pursue other innovative financing options (e.g., by establishing “green banks”). Corporate Average Fuel Economy (CAFE) standards and greenhouse gas emissions standards are poised to deliver significant benefits to consumers as a result of lower ownership costs and improved air quality. Depending on the progress of technology over the coming years, these standards may warrant strengthening. Increase the number of alternative fuel stations (e.g., electricity and hydrogen) to help ease drivers’ range anxiety and provide the certainty auto companies need to commit to manufacturing alternative fuel vehicles. Charging options should be improved by eliminating barriers to access and adopting communication standards for controlled charging by grid operators. This would allow electric vehicle charging to better align with periods of high generation from variable renewable resources and provide low-cost grid stabilization as well as reduce charging costs for electric vehicle owners. Research and development for next-generation technologies should be expanded to help the United States take a leadership position in alternative vehicle manufacturing. Federal and state mandates and incentives to promote sales of alternative vehicles should be sustained and expanded to help accelerate the technology learning curve and bring lower-cost alternative vehicles to market faster. Emissions standards for natural gas systems should be implemented or strengthened to help correct the market failures that leave many cost-saving opportunities on the table. These standards could be achieved through section 111 of the Clean Air Act, through Congressional legislation, or through standards implemented at the state level. Agencies like the Federal Energy Regulatory Commission and EPA should work with industry to revise contracts in such a way that service providers throughout the natural gas supply chain share in the benefits of reducing waste and increasing the amount of natural gas brought to market. The Department of Energy (DOE) should work to improve emissions measurement and control technologies through continued research and development. Reducing the cost of this equipment will further encourage voluntary measures to reduce emissions, and lower the cost of complying with future standards from EPA. The Pipeline and Hazardous Materials Safety Administration could require stricter inspection and maintenance standards for gathering, transmission, and distribution systems, which would improve safety and increase industry revenues while reducing methane emissions from those sectors. The United States should continue to work to achieve an international phase-down of the consumption of high-global-warming-potential (GWP) hydrofluorocarbons (HFC) through amendments to the Montreal Protocol. EPA should use its authority under its Significant New Alternatives Policy program (SNAP) through section 612 of the Clean Air Act. This includes finalizing proposed regulations to delist some uses of high-GWP HFCs and continuing to phase down HFCs where safer, cost-effective alternatives exist. This will help harness win-win opportunities. EPA previously estimated that HFC emissions could be reduced by over 40 percent from what would otherwise be emitted in 2030 entirely through measures that come at a negative or break-even price today. EPA should work toward ensuring that the alternatives development process moves swiftly and that new chemicals are quickly, yet thoroughly, tested for their safety and performance. EPA should also finalize its proposed regulation to list new alternatives and continue evaluating and approving appropriate low-GWP alternatives. Over time, it may also be appropriate to implement a flexible program to reduce emissions of high- GWP HFCs either by EPA under section 615 of the Clean Air Act or via Congressional legislation, as the flexibility provided by these programs could allow for deeper reductions in a cost-effective manner. However, that trajectory could shift considerably if the Administration adopts proposed policies, including greenhouse gas performance standards for existing power plants and new rules to reduce HFC emissions. The question is: Will these actions and others being considered go far enough to reach the 17 percent reduction target and achieve deep reductions in the years that follow? Projections only include policies finalized as of August 2014, and do not include recently proposed standards for existing power plants or HFCs. a. U.S. Energy Information Administration, “Table 12.1 Carbon Dioxide Emissions From Energy Consumption by Source,” accessible at http://www.eia.gov/totalenergy/data/monthly/pdf/sec12_3.pdf. b. U.S. Department of Commerce, Bureau of Economic Analysis, “Real Gross Domestic Product,” Chained Dollars, accessed September 02, 2014, accessible at http://www.bea.gov/iTable/iTable.cfm ReqID=9&step=1#reqid=9&step=3&isuri=1&910=x&911=0&903=6&904=2000&905=2013&906=a. c. U.S. Energy Information Administration, “U.S. Energy-Related Carbon Dioxide Emissions,” October 2013, accessible at: http://www.eia.gov/environment/emissions/carbon/. d. N. Bianco, F. Litz, K. Meek, and R. Gasper, 2013, “Can the U.S. Get There from Here?” World Resources Institute, February, accessible at http://www.wri.org/publication/can-us-get-there-here. f. As highlighted in this study, there are also emerging opportunities for cost-effective reductions in HFCs. g. WRI estimates based on data from the following sources: U.S. Environmental Protection Agency, “Inventory of U.S. Greenhouse Gas Emissions and Sinks: 1990-2012,” andU.S. Department of State, “U.S. Climate Action Report 2014,” (non-energy CO2 and non-CO2 emissions); U.S. Energy Information Administration, “Annual Energy Review,” and U.S. Energy Information Administration, Annual Energy Outlook 2014 (most energy CO2 emissions); World Resources Institute, 2013, “Clearing the Air: Reducing Upstream Greenhouse Gas Emissions from U.S. Natural Gas Systems,” (methane emissions from natural gas systems). 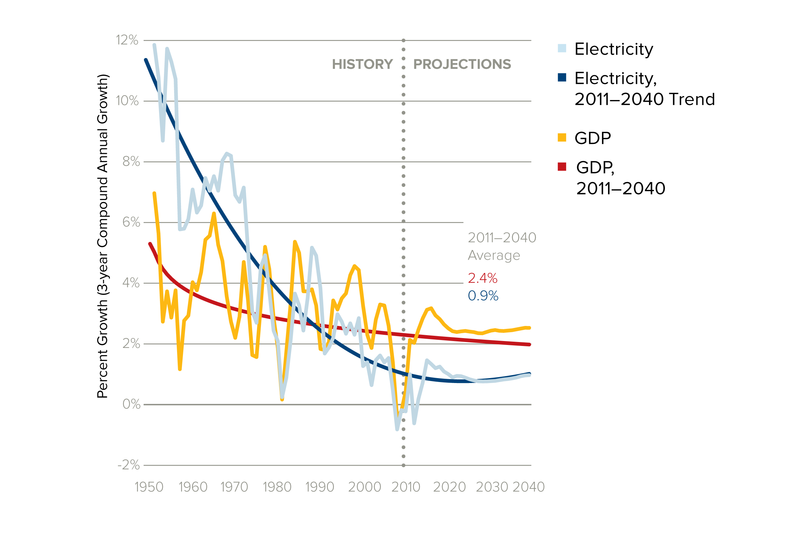 The U.S. power grid has already begun to decarbonize. 30 In 2013, carbon dioxide (CO2) emissions were 15 percent below 2005 levels because of a reduction in the carbon intensity of electric generation and slowed demand growth. 31 Coal’s role appears to be diminishing, while natural gas and zero-carbon alternatives are on the rise. The economics of all generation sources are shifting. If these trends continue, it may be possible to achieve deep greenhouse gas reductions from the power sector at a much lower cost than is commonly assumed, with net savings in some parts of the country. When layering in the public health benefits that can result by replacing old, inefficient, and heavily polluting generation with new, cleaner generation (which also happens to be low-carbon), this transition could bring significant net benefits to the American public. The recent decarbonization of the power sector has been assisted by low prices for natural gas. 32 Lower prices have caused a surge in gas-fired generation and a corresponding decline in generation from coal, the dominant fuel for electricity, which accounted for only 5 percent of the new capacity built since 2000. The question is how much further the shift from coal to natural gas will go. Favorable natural gas prices and more protective public health standards could lead to a wave of coal plant retirements in the coming years. Fewer coal plants could lead to an increase in generation at existing combined-cycle natural gas plants, which only ran at about 51 percent capacity in 2012 33 —well below their design capacity of 85 percent. It could also lead to an increase in construction of new gas plants, which cost about 19–44 percent less than new coal plants. More natural gas and less coal generation would bring not just reductions in CO2 emissions, but would also likely bring reductions in a variety of pollutants, including sulfur dioxide (SO2), nitrogen oxides (NOx), and mercury. Despite its reputation as a clean fuel, natural gas combustion still results in CO2 emissions, presenting long-term challenges for the fuel unless it employs carbon capture and storage technology. However, it still can play an important role in the decarbonization of the power sector. Replacing all existing coal generation with combined-cycle gas generation could reduce power-sector CO2 emissions by 44 percent below 2012 levels. Importantly, as variable generation from resources such as wind and solar increases, grid operators will look to flexible resources like natural gas to help ensure grid reliability, suggesting that gas could play an important role even in an aggressive greenhouse gas abatement scenario. MidAmerican generation in Iowa announced that they will invest $1.9 billion in new wind power, bringing wind generation up to 39 percent of their generation portfolio. 38 The company estimates that this will cause rates to go down by $10 million annually when all the turbines are completed, while creating 460 construction jobs, 48 permanent jobs, and generating more than $360 million in new property tax revenue. Note: This figure depicts the estimated cost for new power plants (levelized cost of electricity) and recent actual costs for various renewable projects (levelized power purchase agreement). The line shows the full range of estimates, while the dots and boxes show specific data points from the U.S. Energy Information Administration (EIA), the Department of Energy (DOE), and Bloomberg New Energy Finance. These data suggest that new natural gas plants are typically cheaper to build than new coal plants, and new wind plants can be cheaper to build than new gas plants, even without incentives. Recently finalized wind and solar photovoltaic installations show that with incentives, certain projects could cost less than a new gas plant. Levelized power purchase agreements (PPAs) represent an actual contract for future prices that has been “locked-in” and includes the value of any federal and state incentives. The levelized cost of electricity (LCOE) represents an estimate of the per-megawatt- hour cost of building and operating an electric generating plant, taking into account the project’s capital costs, operating costs, and capacity factor, among other factors. Differences in levelized cost of electricity estimates can be explained by the underlying assumptions used in each analysis. For example, it has been suggested that EIA’s assumptions related to renewable technologies are more conservative than recent governments and industry reports (see Union of Concerned Scientists, May 2014, “Climate Game Changer Methodology and Assumptions,” accessible at: http://www.ucsusa.org/assets/documents/global_warming/UCS-Carbon-Standards-Analysis- Methodology-and-Assumptions.pdf). All cost and price estimates displayed here were converted to $2013. BNEFa: Bloomberg New Energy Finance, January 2014, “H1 2014 Levelised Cost of Electricity Update;” EIA 2014: U.S. Energy Information Administration, May 2014, “Levelized Cost and Levelized Avoided Cost of New Generation Resources in the Annual Energy Outlook 2014,” in Annual Energy Outlook 2014, accessible at http://www.eia.gov/forecasts/aeo/ electricity_generation.cfm; U.S. Energy Information Administration, May 2014, “Table 8.2. Cost and Performance Characteristics of New Central Station Electricity Generating Technologies,” in Annual Energy Outlook 2014, accessible at http://www.eia.gov/forecasts/aeo/assumptions/pdf/electricity.pdf; DOE Sunshot: U.S. Department of Energy, February 2012, “SunShot Vision Study,” accessible at: http://energy.gov/sites/prod/files/2014/01/f7/47927_chapter5.pdf; LBNLa: M. Bolinger and S. Weaver, Lawrence Berkeley National Laborator, September 2013, “Utility-Scale Solar 2012,” accessible at: http://emp.lbl.gov/sites/all/files/lbnl-6408e_0.pdf; LBNLb: R. Wiser and M. Bolinger, Lawrence Berkeley National Laboratory, August 2014, “2013 Wind Technologies Market Report,” accessible at: http://emp.lbl.gov/sites/all/files/2013_Wind_Technologies_Market_Report_Final3.pdf; BNEFb: Bloomberg New Energy Finance, 2014, “Sustainable Energy in America Factbook”, accessible at: http://www.bcse.org/factbook/pdfs/2014%20Sustainable%20Energy%20in%20America%20Factbook.pdf. Continued retirements could prompt an increase in fossil baseload generation and lead to an overall increase in CO2 emissions from the power sector. Even if these pressures do not force nuclear capacity to retire prematurely, the nation will eventually need to replace some of these units as they reach the end of their useful lives. Stringent regulations that value low-carbon generation could help improve the economics of the existing fleet, and could potentially spur the construction of new nuclear units, particularly if increasing international development of nuclear plants leads to reductions in construction costs. Any expansion, however, will likely depend on solving the challenges of public concerns about nuclear safety and long-term waste storage. With the confluence of low prices for natural gas and renewables, and despite any potential challenges faced by nuclear generation, the nation appears to be trending toward a lower carbon future. In a number of cases, this is happening because of market forces alone, saving consumers money. However, even where incremental costs are associated with shifting power generation, analysis suggests that net benefits are accruing to society because of associated reductions in air pollution. With the right long-term policy push, the transition could accelerate, delivering even greater public health and environmental benefits. Conversely, a lack of policy could slow down this transition and lead to continued reliance on the existing fossil fleet. EPA is now moving forward with greenhouse gas emissions standards for existing power plants under section 111(d) of the Clean Air Act, which it projects will reduce power sector CO2 emissions by about 27 percent below 2005 levels by 2020 and by 30 percent by 2030. 46 The health benefits of these standards alone are projected to be three to eight times the compliance costs. In total, the proposed standards are expected to result in $55 to $93 billion in climate and health benefits by 2030 at a cost of $7.3 to $8.8 billion. Given current technology trends, these estimates may actually be overly conservative, and deeper reductions may be possible at a net public benefit. To make long-term decisions that minimize stranded assets and maximize return on investment, the industry needs long-term regulatory certainty. EPA has taken a step in this direction by proposing carbon pollution standards under section 111(d) of the Clean Air Act. Regulatory certainty could also be provided through legislative measures such as a clean energy standard, a greenhouse gas tax, or a greenhouse gas cap-and- trade program. Financial regulators and lending institutions should work together to develop commercial investment vehicles that align the risk profile of low-carbon assets with the needs of investors in order to reduce the costs of finance. States and utilities should update regulations and business models to promote a flexible power grid, allowing customers and utilities to maximize their use of low-cost variable generation such as wind and solar. The United States should increase federal funding for research, development, and commercialization of low-carbon and energy-saving technologies. This would help foster opportunities for American businesses and manufacturing by helping the country to remain a world leader of innovation. The United States has implemented a robust and growing portfolio of regulatory and voluntary energy efficiency initiatives aimed at reducing electricity use. Together, these initiatives have helped offset total electricity demand growth, which has fallen from over 6 percent per year in 12% the early 1970s to about 1 percent per year today as major household appliances—including refrigerators, dishwashers and clothes washers—have become 50 to 80 percent more energy efficient (Figure ES.3). New federal appliance standards implemented since 2009 alone are expected to save 8% consumers nearly $450 billion as a result of lower electricity bills through 2030. Nevertheless, research suggests that much more efficiency save customers money. For example, over the past decade, efficiency has remained the least-cost resource option available to utilities: levelized costs to utilities are one- half to one-third the cost of new electricity generation options. Meanwhile, state efficiency programs regularly save customers over $2 for every $1 invested, and in some cases up to $5. The United States can continue to reduce electricity demand growth and save money for consumers and businesses in the near-to-medium term by scaling up existing initiatives. However, federal policies, including new legislation or EPA’s proposed power plant standards, should be implemented to encourage more widespread adoption of ambitious state energy efficiency policies. These policies should include or be complemented by other state, federal, and local actions including: (1) updating building codes and improving their enforcement, (2) measures to pro- mote retrofits of existing buildings, and (3) improving access to low-cost finance for efficiency projects. Source: Energy Information Administration, “U.S. Economy and Electricity Demand Growth are Linked, but Relationship is Changing,” March 2013, accessible at http://www.eia.gov/ todayinenergy/detail.cfm?id=10491#. Studies suggest these money-saving opportunities exist because of the persistence of a number of market barriers to investment. For example, building owners frequently have little incentive to invest in efficiency if they do not pay the energy bills and therefore do not experience the financial benefits, thus creating split incentives. In addition, residents may not expect to capture the full lifetime benefits of an investment, thus creating ownership transfer issues. This is because residential energy efficiency measures have an average payback period of about 7 years, whereas about 40 percent of homeowners will have moved in that time. Other market barriers, including capital constraints and lack of knowledge of the lifecycle costs and benefits of products, can also prevent the implementation of cost-effective efficiency measures. State energy efficiency savings targets. Twenty-four states currently have mandatory electricity savings targets that require utilities and third-party administrators to offer energy-saving programs to their customers. 55 Most state targets require incremental electricity savings of 1 percent of projected electricity sales or more each year once programs are fully ramped up, with a few requiring savings in excess of 2 percent per year. These programs regularly save customers over $2 for every $1 invested, and in some cases up to $5, which can boost local economies and create new jobs. 56 Scaling up state energy efficiency savings targets so that each state achieves savings of 2 percent annually would reduce electricity consumption in the range of 400–500 terawatt hours in 2035 (9–11 percent of total projected electricity sales), 57 and save customers tens of billions of dollars in the process. So far, Daikin McQuay and Carrier have met the challenge, and three other manufacturers are still participating. 60 DOE is also working with industry to advance adoption of next-generation intelligent energy information systems and controls that provide whole-building, web-accessible data in real time. These systems allow facility managers to identify wasted energy, with the potential of cutting building electricity use by as much as 30 percent. 61 If successful, wide bandgap semiconductors could eliminate up to 90 percent of the power losses that occur in electricity conversion from AC to DC. 62 Fully capturing existing efficiency opportunities while promoting the next wave of new technology will require policies to help overcome market barriers, and to address the inherent conflict energy efficiency presents for utility business models that tie profits to total electricity sales. Pursuing policies to better align utility incentive structures, such as providing performance incentives for energy efficiency, requiring utilities to consider efficiency as part of their integrated resource planning, and decoupling, among other policies. New federal policies should be implemented to promote the proliferation of ambitious state efficiency programs, thus expanding the number of consumers that benefit from increased energy efficiency. This could include new legislation, such as a nationwide electric energy efficiency resource standard, a clean-energy standard, and a greenhouse gas cap-and-trade program or carbon tax, including the option to recycle revenue into energy efficiency measures. EPA’s proposed carbon pollution standards for existing power plants could also be an important addition to the toolkit, since they allow states to make progress toward their carbon dioxide emissions reduction targets through efficiency programs. Federal, state, and local governments should ensure that consumers benefit from the latest cost saving building technologies by encouraging adoption and enforcement of the most up-to-date building codes. Federal, state, and local governments should help unlock cost saving opportunities available through retrofits to existing buildings by (1) expanding labeling and energy assessment tools, (2) implementing building energy auditing, disclosure, and benchmarking policies, (3) recognizing the benefits of energy efficiency in mort- gages, and (4) incentivizing whole-building retrofits. Federal, state, and local governments should take steps to improve access to low-cost financing options in order to help address barriers that might otherwise be created by high up-front costs. Specifically, they should: (1) stimulate private funding; (2) improve access to PACE financing; and (3) pursue other innovative financing options (e.g., by establishing “green banks”). New standards for passenger cars and light-duty trucks 63 will roughly double the fuel economy of model year 2025 vehicles, while delivering lower costs to consumers, improved air quality, and increased energy security because of lower oil demand. Once fully implemented, owners are expected to save on average $3,400 to $5,000 (net) over the life of the vehicle (compared with model year 2016 vehicles). Meanwhile, steady advances in electric vehicle battery technology and the anticipated roll out of fuel cell vehicles in the 2015–17 timeframe hint that the automobile industry may be on the brink of an even greater transition. For example, battery prices have fallen by more than 40 percent since 2010. Some industry analysts are predicting that long-distance electric vehicles will be cost-competitive with internal-combustion-engine vehicles (because of fuel price savings) by the early 2020s, even without federal incentives. 64 Meanwhile, several large automakers continue to pursue fuel cells for light-duty vehicles, with commercialization expected in 2015–17. However, for these next generation technologies to fully take hold, they need to overcome a variety of barriers, including a lack of charging infrastructure, drivers’ range anxiety, and higher upfront costs (even if lifetime costs are lower). This will likely require continued support at the local, state, and federal levels as these new technologies mature through initiatives such as continued research and development, vehicle incentives and mandates, expansion of fuelling and charging stations, and technology standardization. New greenhouse gas and fuel economy standards established by the EPA and the U.S. Department of Transportation (DOT) will make model year 2025 vehicles roughly twice as fuel efficient as similar sized vehicles sold in the United States today. The resulting lower fuel costs will save model year 2025 vehicle owners on average $3,400 to $5,000 net over the life of their vehicle com- pared with model year 2016 vehicles. 65 The entire program for model years 2017–25 builds on standards set for model years 2012–16 and is estimated to produce net savings of $186 to $291 per metric ton of CO2 reduced in 2030 and 2050, respectively. These standards will also help reduce America’s dependence on oil by more than 2 million barrels per day in 2025 (which could help reduce U.S. oil imports) and result in $3.1 to $9.2 billion in benefits (net present value) from reducing non-greenhouse gas air pollutants. 66 Notably, the EPA and DOT standards will leverage technical progress being made abroad because other countries are requiring large increases in fuel economy over time—the European Union and Japan, for example, have more ambitious standards. Increased deployment of electrified vehicles, along with technological improvements, has helped drive a rapid decline in the price for advanced battery systems. This trend is likely to continue as Tesla Motors plans to build facilities by 2017 that reportedly will produce batteries that are 30 percent cheaper than today’s batteries.72 Some electrified vehicle models now have lifetime costs lower than comparable conventional vehicles when including federal incentives of $7,500 per vehicle. 73 Because battery costs make up a large portion of the upfront costs for plug-in hybrids and electric vehicles, both the upfront costs and total cost of ownership of electric vehicles could come down significantly as battery prices decrease. Some industry analysts predict that long-distance electric vehicles will be cost-competitive (when taking into account fuel savings over five years) with conventional combustion engine vehicles, even without federal incentives, by the early 2020s. The actual greenhouse gas benefit of electric and hydrogen vehicles compared with gasoline and diesel fuels could be big or small depending on the carbon intensity of the production of those fuels. By comparison, natural gas vehicles could actually be worse from a greenhouse gas perspective because of methane emissions from natural gas production, processing, and transmission. Even if the rate is reduced considerably, the benefit of switching cars from gasoline to natural gas will remain more limited than the benefit of switching electricity generation from coal to gas. Increase the number of alternative fuel stations (e.g., electricity and hydrogen) to help ease drivers’ range anxiety and provide the certainty auto companies need to commit to manufacturing alternative-fuel vehicles. Principal-Agent Problems: Thousands of companies are active in the U.S. natural gas industry, from contractors that drill wells to pipeline operators to the local utilities that operate the million-plus miles of small distribution pipelines. With so many independent actors, the incentives for investment in emissions control technologies are not always well aligned, as those companies that make investments in technologies that reduce the amount of methane emitted are not always the same companies that reap the benefits of those investments. Imperfect Information: Because emissions measurement technology is still expensive and not widely used, many companies do not have a complete picture of how much methane they are emitting, and from which sources. Most companies, therefore, are not aware how much money they can save by investing in technologies that reduce methane emissions. Opportunity Costs: Investing capital or engineering capacity in equipment to reduce or eliminate natural gas leaks represents an opportunity cost for owners and operators of natural gas systems. Investments in projects that reduce wasted natural gas compete with other potential investments, primarily the drilling of new production wells or other measures to increase natural gas production. Even though most emissions- control technologies pay for themselves in three years or less, that may not compare favorably to other investment opportunities. While some companies active throughout the natural gas supply chain—from production through distribution— have already recognized the economic advantages of investing in technologies that reduce methane emissions, many have not. Voluntary measures reduce about 20 percent of methane emissions from natural gas systems, according to EPA. 87 But existing voluntary measures merely skim the surface of available, cost-effective emissions reduction opportunities, according to recent studies from ICF International and the Natural Resources Defense Council (NRDC). 88 This suggests the states and the federal government have ample opportunity to implement additional standards requiring reductions in methane emissions to overcome these barriers. A growing number of studies suggest, however, that the EPA rules have left considerable cost saving opportunities on the table. A significant fraction of methane emissions not currently addressed could be reduced with existing technologies, according to studies from ICF International and NRDC. For example, ICF estimates that over 20 percent of the remaining methane emissions from onshore gas development (after the EPA air quality standards) can be reduced while producing net savings, and a further 40 percent of emissions can be reduced at an average cost of just $0.01 per thousand cubic feet of natural gas produced (by comparison, daily spot prices for natural gas aver- aged around $4 per thousand cubic feet over the two years ending September 2014). 91 The NRDC study showed even greater levels of negative cost opportunity. They found that moving the entire industry to use best practices would reduce U.S. greenhouse gas emissions by approximately 150 million metric tons of CO2 equivalent in 2020. Moreover, these measures would generate revenue of around $1.5 billion annually from delivering more natural gas to market. Notably, neither ICF International’s nor NRDC’s estimates include the ancillary benefits of reduced green- house gas emissions and cleaner air from reductions in volatile organic compounds and other traditional pollutants that are co-emitted with methane. Therefore, it is likely that even greater reductions are possible at net public benefit. Of course, the value of captured natural gas depends on its market price. From 2000 through 2010, natural gas prices were highly volatile, with monthly average spot prices ranging from about $2 to $13.75 per thousand cubic feet.92 While recent increases in supply have put down- ward pressure on prices and moderated much of the volatility, many industry analysts predict prices to increase by about 20 percent through 2020.93 If those price increases materialize, capturing and selling any natural gas that is leaked, vented, or flared (that is, combusted at the wellhead) would be even more profitable, reducing the payback period for investments in emissions control technologies. As natural gas production grows over the coming decades, there will be a growing need to address methane emissions from new and existing infrastructure, but also more opportunity to do so. Agencies like the Federal Energy Regulatory Commission and EPA should work with industry to revise contracts in such a way that service providers through- out the natural gas supply chain share in the benefits of reducing waste and increasing the amount of natural gas brought to market. The Department of Energy should work to improve emissions measurement and control technologies through continued research and development. Reducing the cost of this equipment will further encourage voluntary measures to reduce emissions, and lower the cost of complying with future standards from EPA. Hydrofluorocarbons (HFCs) are a small but rapidly growing component of U.S. greenhouse gas emissions. These gases, commonly used as refrigerants, foam blowing agents, and aerosols, can have very high global warming potentials (GWPs). Those with the highest GWPs trap thousands of times more heat than CO2. Their use is on the rise as a result of the phase-out of their ozone-depleting predecessors, hydrochlorofluorocarbons (HCFCs). 93 However, alternatives with low, and even near-zero, global warming potential are increasingly becoming available. They include natural refrigerants such as CO2 or hydrocarbons (HCs) as well as hydrofluoroolefins (HFOs), which contain hydrogen, fluorine, and carbon like HFCs, but have much lower GWPs. 94 Some of these alternatives also offer performance benefits (via superior thermodynamic efficiency) compared with the higher-GWP HFCs they could replace, lowering the amount of electricity consumed and thereby reducing electricity bills and GHG emissions. New policies could spur uptake of new cost- effective alternatives, while driving the continued research and development of new alternatives. These cases are not unusual. In a recent analysis, EPA found that the nation could reduce annual emissions of HFCs by 20 percent below business-as-usual estimates in 2020, and 42 percent in 2030 through alternatives that pay for themselves over the life of the equipment. 104 This is largely the result of considerable technological progress over the past several years to make low-GWP alternatives available. However, adoption of existing low-GWP alternatives remains uneven at best, for a variety of reasons. Although converting to some low-GWP alternatives may offer net cost savings, it may involve higher upfront costs, or require the replacement of existing equipment, or even the redesign of a facility or vehicle. 110 Additionally, customers who purchase refrigeration or air conditioning equipment may not be educated on the availability and benefits of low-GWP alternatives. Thus, there is little reason to believe that the U.S. market will rapidly move to these alternatives without new rules or other incentives that drive their adoption. Momentum toward this end appears to be building at the international level. The proposed North American amendment to the Montreal Protocol, which would reduce HFC consumption 85 percent by 2035 compared with 2008–10 levels, 111 is now supported by more than 100 nations. 112 Producers and consumers of HFCs also support a global phase-down. For example, the Alliance for Responsible Atmospheric Policy, an industry coalition composed of manufacturers and businesses which rely on HCFCs and HFCs, supports a planned, orderly global phase-down of high-GWP substances, while improving energy efficiency, leakage reduction, and recovery/reuse or destruction at the application’s end-of-life. 113 In the meantime, much can be done domestically to reduce emissions of high-GWP HFCs. Sustained deep reductions of high-GWP HFCs, however, will require continued technological progress and regulatory responsiveness, and may require transitioning to alternatives that will not pay for themselves in the short term. The United States should continue to work to achieve an international phase-down of the consumption of high- global-warming-potential (GWP) hydrofluorocarbons (HFC) through amendments to the Montreal Protocol. Over time, it may also be appropriate to implement a flexible program to reduce emissions of high-GWP HFCs either by EPA under section 615 of the Clean Air Act or via Congressional legislation, as the flexibility provided by these programs could allow for deeper reductions in a cost-effective manner. As highlighted in this study, there are also emerging opportunities for cost-effective reductions in HFCs. U.S. Department of Energy (DOE), 2014, Building Energy Codes Program: “Status of State Energy Code Adoption,” July, U.S. DOE Office of Energy Efficiency & Renewable Energy, accessible at LINK.